Directions (Q. Nos. 51 - 55 ) : In the given questions, there are phrases in italics followed by options, (a) to (d). One of these options should replace the phrase to make the sentence meaningful and grammatically correct. Choose the most suitable option. 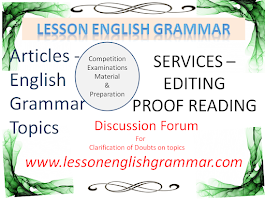 If the given phrase is correct mark (e) as answer. Directions (Q. Nos. 56 - 60 ) : Read the given sentences carefully to find out if there is any grammatical error in any of these. If there is any, it will be in one part of the sentence. Mark the alphabet following that part as your answer. If no error is found mark (e) as your answer. Directions (Q. Nos. 61 - 65 ) : In the following sentences, there are four words written in bold and marked (a) (b) (c) (d) which may be misspelt or inappropriate in context to the sentence. Find out the misspelt or inappropriate word and mark its alphabet as answer. If all are correct and appropriate mark (e) as answer. 63. The president of the committee enquired from (a) members that if more funds(b) are pumped into(c) the project it will be beneficial(d) for it. All are correct (e). Directions (Q. Nos. 66 - 75 ) : In the following paragraph there are blanks which are numbered. At the end of the paragraph five words are given as options. One of these words is appropriate to fill each of these blanks. Find the appropriate word to fill in the blank and mark it as answer. Human life 1. ..................................... of small events each of which has its own 2.............................. however small or trivial it may be. Success of a man depends 3. ........................ how he or she 4.....................these events. The factor of 5. ..................... importance in this regard is the attention one 6. ......................... to these. The comfort of a household is the result of small things well 7. ..................... . Good governance can only be accomplished by well regulated provision of doing of little things. These carefully treasured up result in 8. .......................... of knowledge and experience in life. These if neglected lead to 9. ............................ in life and one accumulates nothing and learns nothing in life. These bring with them conviction and thereby diligence in the working of a person. Success in the life of a person is proportionate to his efforts, his commitment to the cause that 10...................... from attention to these little things. Directions (Q. Nos. 76 - 80 ) : Rearrange the following sentences in a proper sequence to form a meaningful paragraph. Also answer the questions following these sentences. B. This is actually an act of ignorance as they don't realise that this strategy will eventually hurt more and sometimes beyond repair. C. But the problem is that a majority of people never solicit feedback as the word "feedback" carries a notorious tag of being negative only. 52. 'But for' means without. Without one action the other would not have happened. But for .... I would not have achieved success. (b) is correct. 53. 'triumph over' is correct. The given sentence is correct. 54. In such sentence no action has taken place in the past nor will it take place in future. It is only supposed that if such an action had taken place the other action would have taken place. So ......'you too would have also enjoyed yourself' is correct. (b) is correct. 55. Not to speak of ....is correct. (d) is correct. 56. 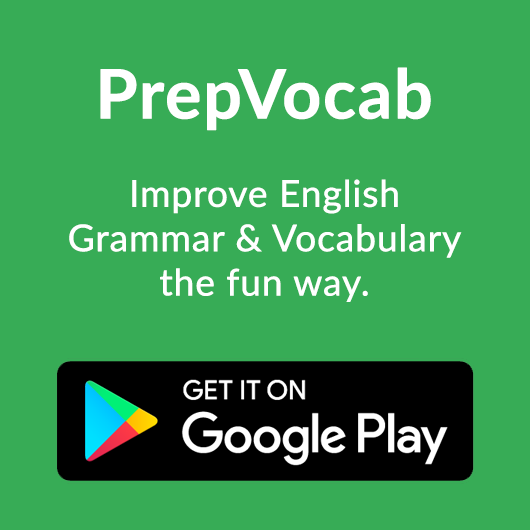 To put emphasis adverb is used in the beginning of the sentence.For that verb is also used with it and it separated in the interrogative formation like goes = does+go or went = did +go etc. Little did she know that .......(a) is incorrect. 57. Supposing and if have the same meaning. Supposing is redundant here. Remove superfluous 'supposing'. (a) is incorrect. 58. beautiful is adjective but with verb ' sings' adverb beautifully is to be used. (c) is incorrect. 59. This is a simple sentence and not an interrogative sentence. 'Does she intends' gives impression of an interrogative sentence. It should be' ..... when she intends to' (b) is incorrect. 60. This is an interrogative sentence. It is explained by taking reply of this sentence. It will be....... The committee will select him a candidate... Here him is in object case. Similarly in interrogative sentence 'whom' is in object case and 'who' is in subject case. So it should be 'whom' and not 'who'. (a) is incorrect. 62. Instead of verb 'produce' noun 'production' is required here. (b) is incorrect. 63. After 'enquired' or 'asked' 'if' is used and not 'that'. That is superfluous here. (b) is incorrect. 64. Instead of 'affect' 'effect' is the correct word here. (d) is incorrect. 65. Here instead 'who' , 'whom' is the correct word. (b) is incorrect. 1. In this sentence lies and brings do not fit. With includes and contains the preposition 'of' is not used.Comprises of is the correct word here. 3. With the word 'depend' preposition 'upon' is used. Other prepositions are not correct. 51. When the man looked daggers, his wife was so nervous and scared that she could not utter even a single word. (a) help utter a single word. (b) go utter a single word even (c) make speak a single word. (d) move speak a single word even. (e) No change required. 52. The french government decided to build secretly a flying machine, the first of its kind, supposingly the most useful when invented. (a) supposedly the most useful ever invented. (b) showingly the most useful ever found. (c) believing the most useful when ever discovered. (d ) found to be useful if invented. (e) No change required. 53. The past of man has been under the whole a pretty and beastly business, a busniess of fighting, bullying, grabbing and hurting. 54. Although his manners were excellent, his behaviour much civilised, yet while the room he left bore numerous traces of his presence on its walls. (a) the room when he left it bore numerous traces (b) on leaving had many traces (c) after his leaving showed many traces (d) the room as he left bearing numerous traces (e) No change required. large scale and to a degree on the lines of locally requirements. Farmers have always been aware of 1. ................... aspects of the environment like changes in soil, water, weather and vegetation. However they 2. ................. the tools to measure, map and manage variations in the field accurately to grow more food using fewer resources, thereby reducing production costs. It is key component in the use of IT and various items like robotics, sensors, control systems, autonomous vehicles, automated hardware, variable rate technology, and so on. The 3.................... of high speed internet, mobile 4. ............... and reliable, low-cost satellites (for imagery and positioning) are a few key technologies characterizing the 5. .................. in precision agriculture. Small farming will enable the farmers to reduce waste and 6. .................... productivity. This will range from the quantity of fertiliser utilised to the number of journeys the farm vehicles have made. There's a look at the technology which has been 7................... ripples in the market. Agriculture is one of the major industries to incorporate drones. Drones are being used in agriculture in agriculture to improve productivity. Ground and aerial-based drones are being used in agriculture for crop health assessment, irrigation, monitoring, spraying, planting, soil and field analysis.Besides ease of use and time saving other benefits 8.....................crop health imaging, integrated geographic information system mapping and potential to increase yields. With strategy and planning based on real time data collection and processing, the drone technology will give a high-tech 9.................. to agriculture industry. The remote sensing data is processed through machine learning, and then the pattern is 10................. Not only farmers but seed and fertiliser companies too will be benefitted. 3. growing, adoption,utilizing, blending, inclusion. 4. products, appliances, tools, wares,devices. 5. trend, move, show, side, vogue. 6.enhance, upgrade, surge, demur, support. 7. showing, trending, creating, favouring, throwing. 10.studied, sorted, recorded, analysed, ployed. A. The government needs to devise a mechanism to counsel their parents which is necessary for the proper implementation of its schemes and act. B. Even after 70 years of independence, education is still a dream for children who could be seen scavenging refuse or carrying bags of garbage. C. Though the government has given right to education to all, it has failed to clear loopholes in the systems. F. No body bothers to make them aware of these schemes,that's why their goals are never achieved. (51)1. Help is used like – He could not help but shriek. It means she could not stop shrieking. Here it gives the opposite meaning. 2. Go utter also not well here. We use go for a continuous process like She went on uttering words. 3. Make has a meaning that someone else is prompting the subject to work. He made him act like this. 4. Move also gives sense of continuity. She moved on to say her version. So all options are not according to the sentence. However the option already used in the sentence has a meaning and is correct. (52)1. Supposedly means that it is supposed that this is the most useful out of all those invented so far. 2. ‘Showingly’ does not make any sense, the word is showing. 3. It is believed to be useful but whenever does not give any relevance here. 4. Found to be useful if invented does not have any relevance with the remaining sentence. 5. Supposingly is not a word but supposing is the correct word so it is not correct. (a) is correct. (53)Here pretty does not mean fair or beautiful but it is to increase the degree of activity beastly. Just as we say – ‘pretty large’ means very large. It is ‘pretty beastly’. On the whole means taking the totality of the activity. So here the option (d) is the correct option. 54. Here while or when are to be linked with ‘he’ and not room. It is to say that when he left the room it bore many traces of his presence there. According to this meaning option is the most appropriate meaning that – when he left the room it bore many traces of his presence. (a) is correct. 55. Here the word ‘locally’ is an adverb whereas an adjective ‘local’ is required with the noun ‘requirements’. Instead of ‘on the lines’ ‘in line with’ is more appropriate that means according to the local requirements. So option (a) is correct. 56. This sentence shows that it is of the past tense and ‘making’ tells that it is continuous tense. Further ‘for a long time’ shows that it is of perfect continuous tense. In Past perfect continuous tense, ‘Had been + first form of verb +ing and for ‘ are used. So the sentence should be- He had been making………for more than……(a) is incorrect. 57. This is a conditional sentence.If two activities are to take place in future time, tense for first activity will be present indefinite tense and for the second it will be future indefinite tense. The sentence will be ‘ If the institute comes to his help…………So (a) is incorrect. 58. In this sentence two words ‘why’ and ‘reason’ are used for one purpose. So ‘the reason’ is redundant or superfluous remove it. (b) is incorrect. 59. The pronouns ‘anyone’ or ‘none’ etc. are treated as singular and are followed by singular verb. So ‘were’ here is incorrect. It should be ‘was’. (d) is incorrect. 60. Unless itself has a negative meaning so it does not require ‘not’ with it. It should be ‘Unless…….passes’ instead of ‘does not pass’. (a) is incorrect. 61. Adjective Far means away. It has three degrees Far, Farther and Farthest. The word required in this sentence is ‘farther’ and not ‘further’ . (d) is incorrect. 62. Here error is due improper use of tense. In such sentences there has been no activity in the past nor will it be in future time. But it is supposed if it had happened. In such cases for first action past perfect tense is used. ‘If you had employed……..’ Instead of ‘produce’ ‘production’ is correct. (b) & (d) are incorrect. 63. In examination one gets ‘marks’ and not numbers. (d) is incorrect. 64 Spellings of ‘difficult’ are incorrect. It was ‘he’ and not ‘him’. ‘to blame’ is correct. So (a), (c) & (d) are incorrect. 65. ‘Everyone’ is followed by pronoun ‘his’ and not ‘one’s’. (b) is incorrect. 1. Environment is changing. So stable, some or real are incorrect. Close also does not give any sense here. Varied is correct. 2. They do not have means so lacked is correct option. 3. Blending and growing are incorrect as these do not fit here. Out of utilizing, inclusion and adoption, adoption gives appropriate meaning. 4. Products, tools, wares do not fit here. Out of appliances and devices, the devices is the correct word. 5. Out of all options trend is the correct word. 6. Productivity is to be increased so enhance is the correct word. 7. favouring and throwing are incorrect. Showing also does not fit here. Out of trending and creating is better option. 8. Out of all options include is the correct option. 9. Here meaning is to make a thing better. For this ‘makeover’ is the correct word out of all words. 10. Studied, recorded ployed are incorrect words. Out of sorted and analysed, analysed is the correct word. In such questions one has to find linking words. These linking words show relation of one sentence with other sentences. This means that such a sentence cannot be first sentence. In these sentences words are– Such children, these schemes, such poor and their parents. It means the sentences containing these words cannot be first sentence. First sentence should be an independent or non dependent sentence. B and C are such sentences. But B contains more information to start with some topic.Children in sentence B are referred to in D as ‘such children’. Schemes referred in D are again talked about in F as ‘these schemes’. C mentions about right to education and its loop holes and in E it tells about its result. finally in A there is a solution of the problem suggested. So the sequence is B,D,F,C,E,A. Questions can be answered accordingly. A word that denotes a thing, place,person, quality, state, condition, position or attitude is called a Noun. A Noun is the name of a person, thing or a place. When a Noun is used as a subject of the Verb, it is in the Nominative Case. In this sentence John is 'Subject' writes is 'Verb' . OR John is subject of verb writes. 'John' has been used as Subject of the verb writes. Here John is used in Nominative case. In this sentence Alice is 'Subject' and is plucking is 'Verb'. Alice is Subject of the Verb 'is plucking.' Alice has been used as Subject of the Verb is plucking. Here Alice is used in Nominative case. In this sentence ' the students' is a Noun in Objective case. In other words 'the students' is an object to the verb 'teaches'. In this sentence ''football' is a Noun in objective Case. In other words 'football' is an object to the verb ''playing'. A Noun in Subjective Case is identified by substituting the word 'who' in place of noun. If answer to this question is noun, this noun is a noun in subjective case. A Noun in Objective Case is identified by substituting the words 'what or whom'. If the answer to the question is noun, it is a noun in objective case. In this sentence 'Mother and her son' are two nouns. 'Loves' is a verb. First substitute 'who' in place of 'mother' - Who loves her son? The answer is ' mother' . So the noun mother is a noun in subjective case. Now substitute 'whom' in place of the noun 'her son'. - Mother loves 'whom'. The answer is 'her son'. So the noun 'her son' is a noun in objective case. Substitute 'what' in place of the noun 'football'. -- Boys play -- what? The answer to the question is 'football'. Thus the Noun 'football' is a noun in objective case. Father gave his son a book. In this sentence, 'his son' and 'a book' are two objects. The object 'his son' nearer to verb is called Indirect Object and next to Indirect verb 'a book' is called a direct object. In order to find out whether a noun used as Indirect Object is a Noun in objective case or not substitute the word 'whom' and in case of a direct object substitute the word 'what'. The answer in both the cases will be a noun. So these nouns are nouns in objective case. In the given sentence both the nouns ' his son' and 'a book' are nouns in objective case. There are two ways to write sentences with two objects. 1. Mother gave her son food. 2. Mother gave food to her son. A noun used to show relation or possession is called a Possessive case noun. My father's shirt is white. In this sentence the noun 'My father's' shows relation with shirt. So the noun 'My father's' is a noun in Possessive Case. Apostrophe with s is used to express relation or possession of living things only. In case of non living things apostrophe with s is not used. Instead words 'of the' are used. It is wrong to say - The table's leg is broken. The correct way is - The leg of the table is broken. If a noun is used with a verb to make the meaning or sense of the sentence complete, the noun is called a noun complement to the verb. In this sentence the noun ' a student' is adjoined with verb is to make a complete sense or meaning. Thus 'a student' is a noun complement to the verb 'is'. Generally words like is am are was were seem appear look become are used. In this sentence 'sad' is added to the verb appeared to make the sense complete. Here 'friends' is added to the verb became to complete the meaning. A complement having relation with Subject in the sentence is called a Subjective complement. His son became a doctor. In this sentence noun a doctor is a complement to the verb became but it describes about the subject 'his son'. So it is a Subjective complement to the verb 'became'. Boys elected his son captain. In this sentence 'captain' is a complement to the verb elected but it describes about the object 'his son'. So it is an objective complement. In certain cases two nouns describe the same thing or person and these both nouns have one case. Such nouns are called Noun Case in Apposition. His son, a doctor is my friend. e.g. His son is my friend. A doctor is my friend. His son and a doctor tell about the same person. The second noun doctor is a Case in Apposition of the noun His son. When a noun is used to address a person or a thing such a noun is called a noun used for nominative address. Children, do not make a noise. In these sentences the nouns children, boys and friends are nouns of nomination of address case. God forbidding, we lose the match. In this sentence the noun God is connected with the main sentence with the help of a participle forbidding. There is no verb used between the noun and the remaining sentence. So such a Noun ''God' is a Nominative Absolute. Weather permitting, we will play a match tomorrow. In this sentence weather is a noun in nominative absolute case. Select Subjective case nouns in following sentences. 2. Hare followed the lion. 4. Farmers are ploughing fields. 5. A name makes no difference. Select Objective Case Nouns in following sentences. 1. The teacher was delivering a lecture. 2. She purchased a new cell phone. 3. Our country exports tea. 4. Their team won the match. 5. She obeys no orders. 1. I went to office of my father. 2. He purchased the house of his brother. 3. She did not like habits of her brother. 4. The crown of the king is studded with precious jewels. 5. The picture of his mother is very beautiful. 1. His brother...... to be mad. 3. His husband has.... a doctor. 4. Boys .... very happy to see her. 5. Children .....anxious to go out. Point out Noun in Object Case in following sentences. The mother reprimands her daughter. Her daughter does not take interest in her studies. The mother advises her to do hard work. But she does not learn her lessons regularly.. She takes interest in games. The daughter does not attend her classes regularly. She often skips her classes. Her teachers also do not like her. They want her to study. Point out Subjective & Objective Complements to Verb in following sentences. 1, His friend is very honest. 3. They became fast friends soon. 5. Her sister is a traitor. 4. The crown of the king (The king's crown)is studded with precious jewels. 5. The picture of his mother(His mother's picture) is very beautiful. 1. His brother appears to be mad. 3. His husband has become a doctor. 4. Boys were very happy to see her. 5. Children are anxious to go out. The mother reprimands her daughter. Her daughter does not take interest in her studies. The mother advises her to do hard work. But she does not learn her lessons regularly. She takes interest in games. The daughter does not attend her classes regularly. She often skips her classes. Her teachers also do not like her. They want her to study.